How do you automatically get your data from the different marketing platforms that you are using into your report? How do you visualize your data in such a way that your data makes sense to your collaborators and you can get insights to make evidence based decisions? 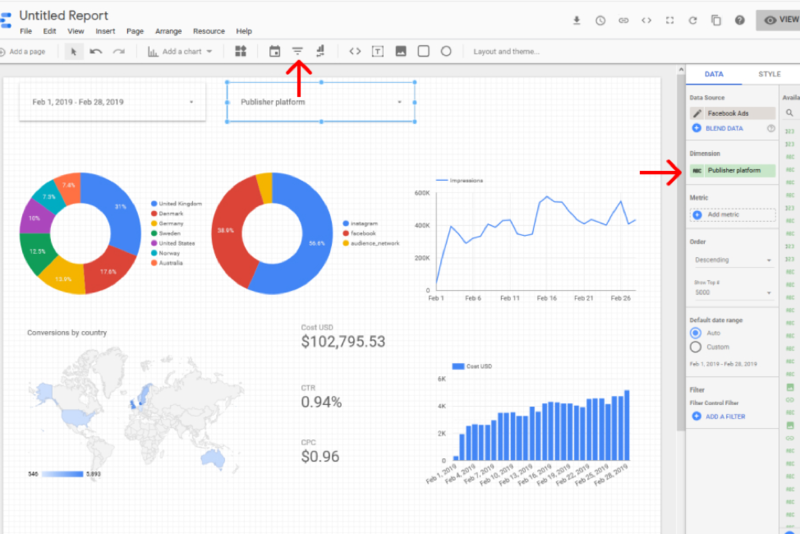 In this article I will show you how to make a marketing reporting dashboard in Google Data Studio. 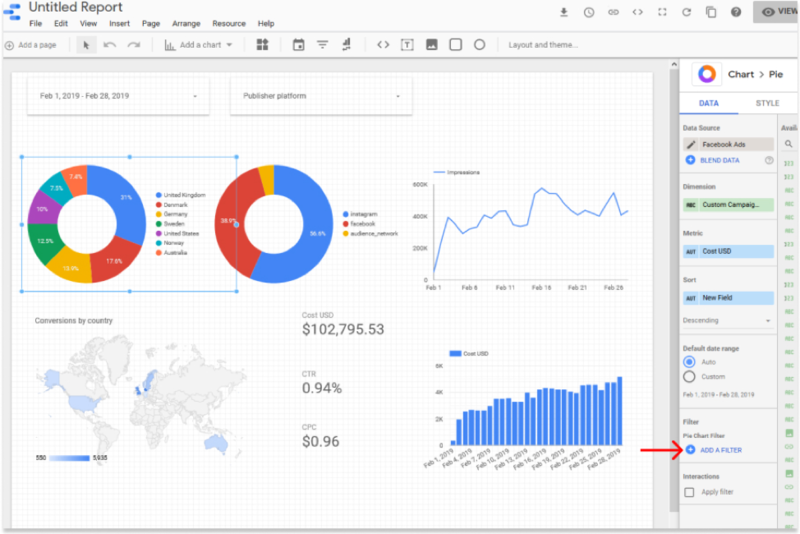 Google Data Studio is a free (for the most part) visualisation platform that lets you create beautiful and informative reports/dashboards. What should you consider before you get started with building your dashboard? Whenever I see a failed reporting project it is usually because the right foundations were not set in place at the start. In many instances the complexities are underestimated and insufficient resources are allocated. 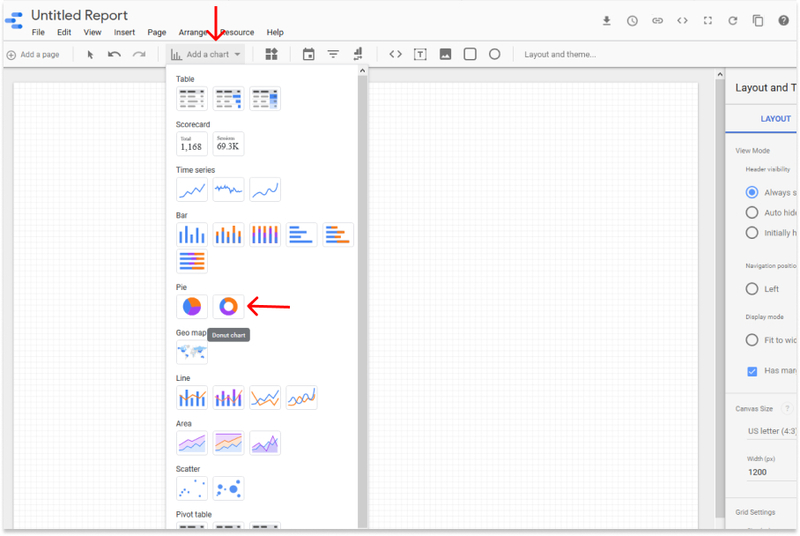 So before we dig in, let’s go through five things to consider before you start building your marketing reporting dashboards in Google Data Studio. Reporting generally takes more time than you would expect. Who will be responsible for creating and maintaining the reports? How much time and what kind of budget is available? Having answers to these questions will get you off to a good start. A good place to start is to take an inventory of the amount of time that goes into the creation of your current reports. What you will find is that a lot of time is spent on extracting data from various systems, combining and then creating a report. What is the monetary amount that could be attached to this? For one of my clients I found that 60 hours a week (by several employees) was spent just on creating marketing reports. That is an extraordinary amount of time that could be spent in more productive ways. What you could do is assign one person to be in charge of creating the marketing reports. Depending on the amount of reports this person would work on reporting either full time or just a couple of hours a week. The point is that some time should be carved out to work on creating the reports. What you will notice is that after the initial reports have been created the time demand for reporting will drop as they will have been automated. 2. 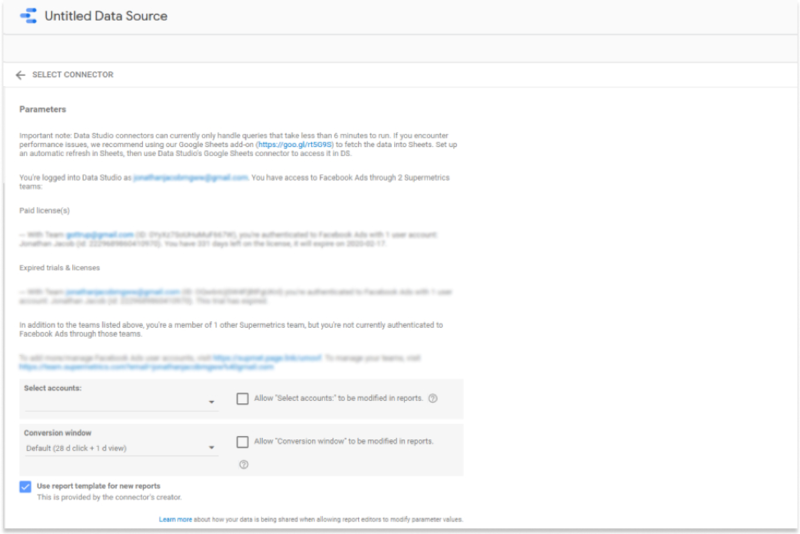 Decide if Google Data studio will meet your needs. You work at an agency and need to monitor the performance for multiple clients from a single dashboard. Your company policy does not allow you to use Google Drive. The data from the report will be used in some other system. You need to show large amounts of data in a table format, in that case you might consider using Google Sheets or Microsoft Excel. Supermetrics has connectors for both of these options. This is going to be different for every company. I worked with a luxury watch company that had a large digital marketing budget. They worked with several agencies advertising in 20 plus countries around the world. However, they didn’t actually sell any of their products online, so for them the goal of the was to report on how effective their campaigns were from a brand perspective. On the other hand, I worked with a robotics startup that was running campaigns to drive qualified leads to rapidly grow their business. For them it was important to see which channels were driving the best results so that they could quickly respond and make changes to their campaigns. Each company has its business objectives and marketing strategy that it will use to try and achieve these goals. The purpose of a marketing report/dashboard is to help track and help you adjust your marketing efforts. This is something to think about when you set up your campaigns, you might think of naming your retargeting line items/ad groups and your prospecting line items/ad groups in a specific way. This will allow you to easily create custom columns to aggregate your data once it is loaded into Google Data studio. In our example we will be connecting to Facebook ad data. In Facebook we maintain a naming convention that makes it easy to create new fields and classify our data. We are going to create a new field to categorize data by country. At the minimum this would mean that we would have to put the county in all the campaign names. 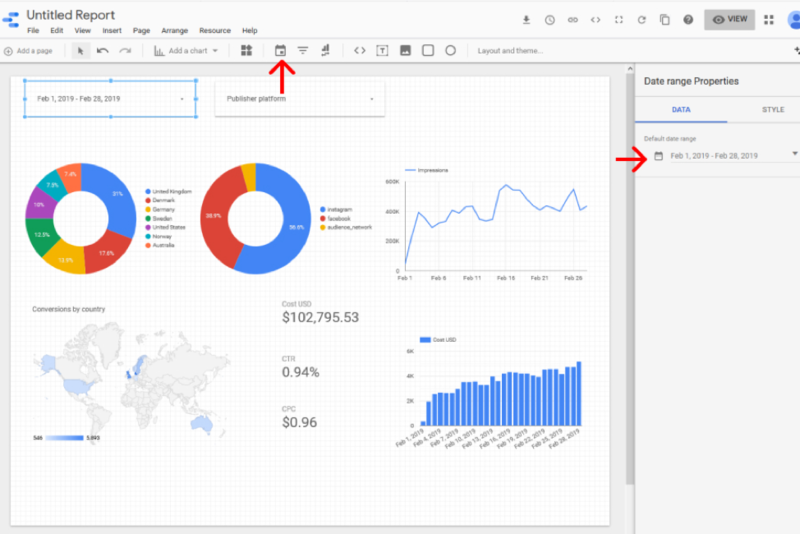 Out of the box, Google Data Studio comes with a number of free connectors that allow you to connect Google products like Google Analytics, Google Ads, and Google Sheets. There are also various paid data connectors that can be used to connect to dozens of other data sources/platforms. 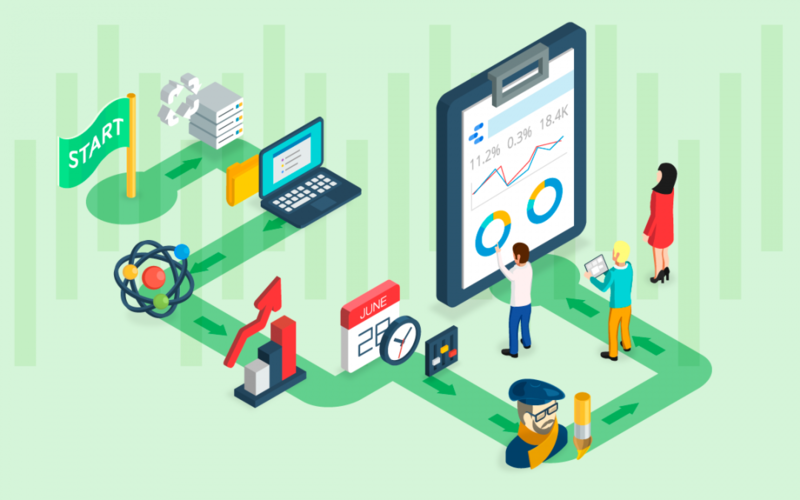 Supermetrics has developed many high quality connectors to help you fetch data from platforms like Facebook Ads, Twitter Ads, and LinkedIn Ads into Data Studio directly. Now that the groundwork has been done, we can start building the reports. 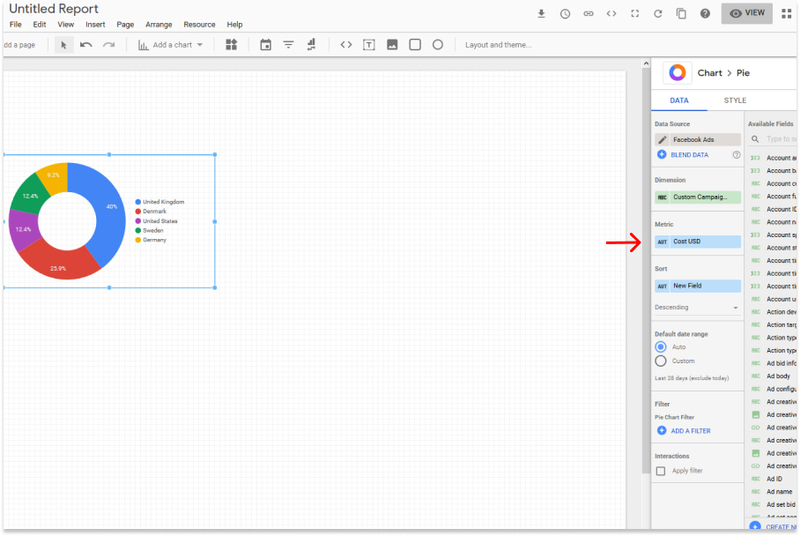 Here are eight simple steps with screenshots to help you build marketing reports in Google Data Studio. I will use the Facebook Ads connector as an example but the same process works for all the connectors. Go to the data source and create a new source by clicking on the “plus” in the bottom right corner. Search for the Facebook Supermetrics connector and click on it. After you have selected the Facebook connector you will end up on the authentication page where you can select your account and conversions window. Do this and give your data source a name, click on connect and your data source will be created. Whenever possible you should do your transformations on the data source level. By doing this you will avoid having to replicate these actions over and over again when you create your reports. Here is an example of setting the type of the field from number to the currency of USD. Here is an example of creating a new field. The new field will classify Facebook Ads campaigns into countries based on their campaign name. This would allow you to make visualisations based on countries later on. Click on the new report button and select the data source that you have previously connected. There are 30 charts that you can select from, if you don’t find a chart that matches your need there are also third party chats that you can choose from. For our report we will use different charts, in this example we will add a donut chart and then add the dimension and metric to show the ad spend by country. Click on “Add a chart” and select the the donut chart. From the data pane drag and drop your dimension and metrics. Create your filters to exclude or include the data you want to show. In bigger reports/dashboards you will need lots of filters so it’s important to use naming conventions in order to keep track. The naming convention might be different for each use case. For me a naming convention could look like this: [data source][field name][quick description of what the filter does]. Using this methodology you might end up with a filter called FB Country Exclude US. This would be a filter to exclude the US in a chart. You can add interactivity to your report by adding a date range or adding filtering controls. The date range option allows the user to choose the range for which they want to show the data. In this case we will set a fixed date range for the month of February. This will be the default however the user will be able to change the date range. By adding filter controls to a report the user are able to filter the report to get additional insight. Filter controls have similar options to the visualisation charts. In the example below we will create a filter control to filter on publisher platform (for Facebook this means Facebook, Instagram, Messenger and Audience Network). Google Data Studio is extremely customizable. Using the style panel you can change the look and feel of the report and the individual visualizations. 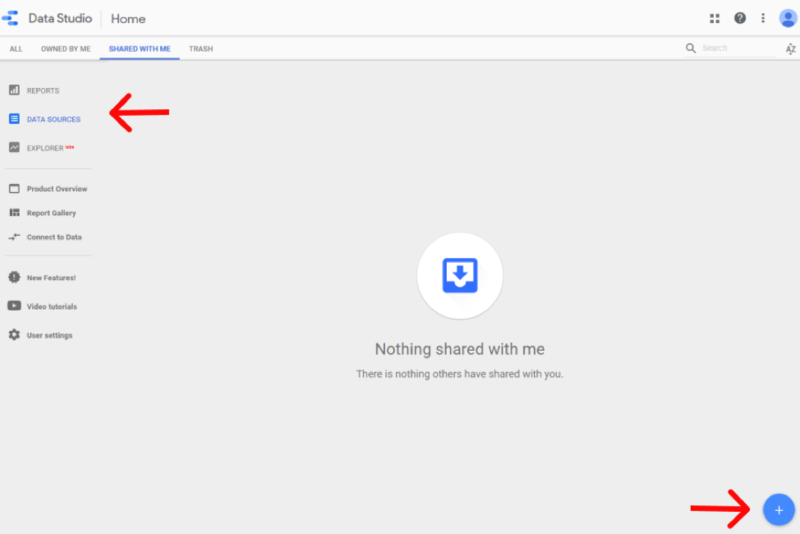 The ability to share your dashboard as easily as you are able to share a Google Doc is one of the best features of Google Data Studio. You can give access to anybody to only view a report our also edit the report. Whether you work at an agency or if you are an in-house marketer looking to automate your marketing report, Google Data Studio is an excellent solution. It comes with many data connectors out of the box and Supermeterics provides many of the missing connectors. There is a bit of a learning curve but using this guide you will be able to overcome some of the most common pitfalls and start creating and sharing your reports. Jonathan Jacob is the founder of Levflex, a marketing intelligence company that helps digital marketing teams and agencies automate their marketing reporting. You can learn more about Jonathan on LinkedIn.